After being active in cosmetic formulation and product design for about 20 years, we realized a great need for specialty cosmetic ingredients in retail as we gradually moved from conventional to organic and natural cosmetics. It was almost impossible (even in Germany) to get access to reliable sources for ingredients used in organic cosmetics (except a few common oils and butters) unless one directly orders the ingredients by suppliers (with a min. oder quantity varying between 15-200 kg). As you can imagine it is out of question for students of the skin care formulation, small manufacturers, small formulation laboratories, DIY crafters and artisanal manufacturers of organic skincare to purchase and stock such quantities of raw material. This is how SkinChakra online shop was borned. With the aim of delivering high quality ingredients as well as know-how and information to a huge group of interested students, artisanal manufacturers and DIY crafters. 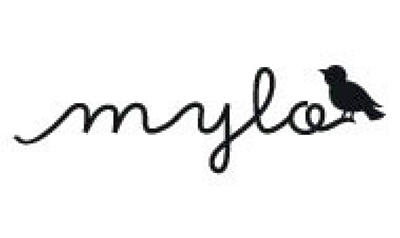 In July 2012 we started our online shop delivering only and only in Germany at first. In about 5 years and with the huge support of our customers, we're now delivering cosmetic ingredients in more than 45 countries in the world. Here we are with a small but efficient team, not only supplying our customers with the most innovative ingredients in organic and natural cosmetics, but helping them in their formulations as well as product development and design. 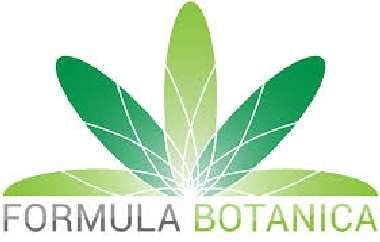 Each month, we provide hundreds of students and formulators with natural preservatives, innovative emulsifiers, plant extracts, oils, butters and active ingredients, publish sample formulation and answer to their technical questions via our communication channels and social media. We are proud to have repeating customers around the whole world from New Zealand and Australia to Canada, building a long-term relationship with our customers and becoming involved in their product designs and upcoming projects. 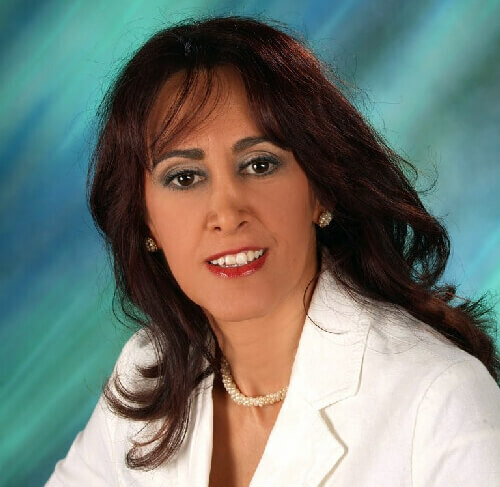 Elham is a passionate cosmetic chemist with about 20 years experience in cosmetic formulation and concept development. 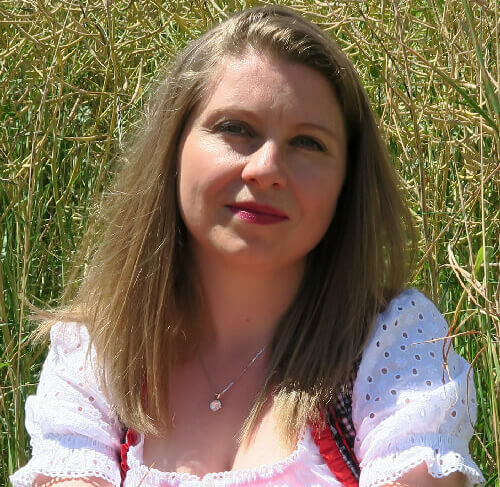 She has been working with and consulting manufacturers of finished products as well as cosmetics raw material providing them with concept and formulations. 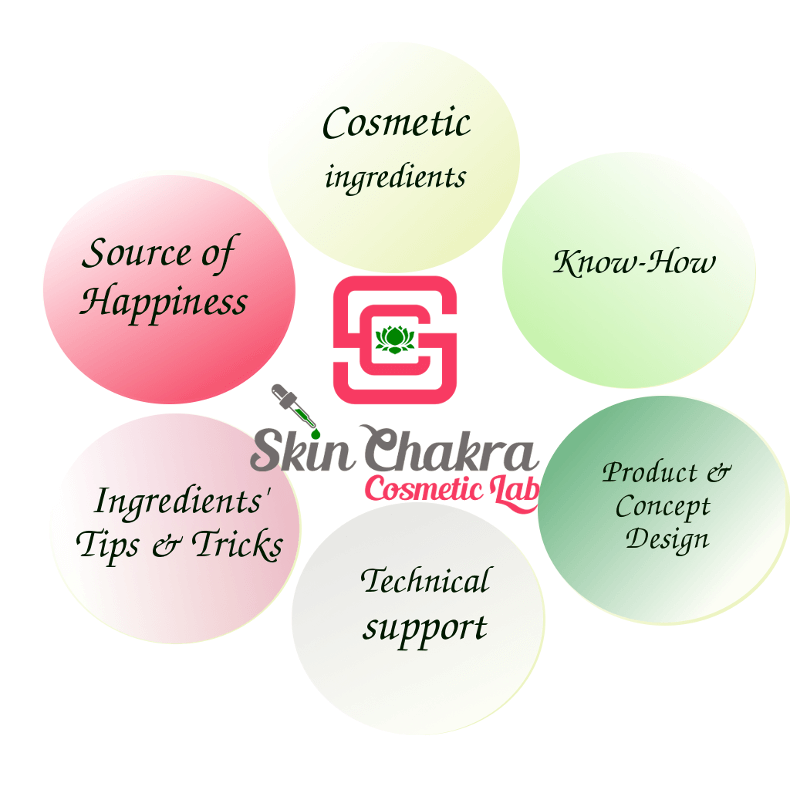 At SkinChakra, she develops concept, formulations and test methods mainly for organic and natural cosmetics and provides artisan manufacturers with know-how, concept, test methods and A-Z of natural cosmetic business as well as cosmetic specialty ingredients in small scale. She is an associate tutor by Formula Botanica, the world class accredited and biggest online school for organic cosmetic business and she is the co-founder of Green Alchemy where she offers formulation and business development consulting to indie organic cosmetic business. 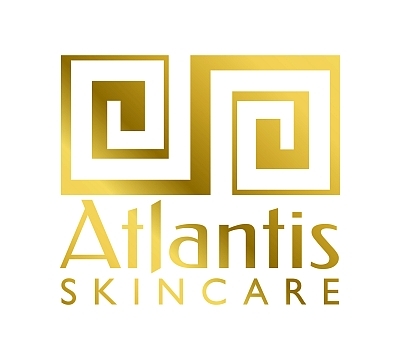 A cosmetic therapist and foot care specialist with passion for cosmetic formulation. Swetlana has been accompanying SkinChakra from the very first day and is the Jack-for-all-trades at SkinChakra. She is the shy person behind every single daily affair from organizing orders, making tests and preparing formulations. You can withdraw from your consent to our processing your data any time. For complaints about violating your rights, you can contact the German regulatory authorities listed under: https://www.bfdi.bund.de/DE/Infothek/Anschriften_Links/anschriften_links-node.html"
• for processing and meeting legal obligations. We keep your information as long as we require them for fulfilling the purposes named in this document or as long as we are legally obliged to. After expiry of any of the named purposes, your information would be (as legally required) blocked or deleted. When you visit our websites, some general information are automatically collected with a cookie. These information (server logfiles) include the web browser, the operating system, the domain name of your internet service provider and so on. These are information that could not be personally directed to you. Collection of the above information is only for the named purposes and not for tracking you back. The data is collected only by responsible persons and contract partner. The anonymous information collected in this way is only statistically used to improve the stability and usability of our internet presence. Cookies are unable to start programs or transfer virus to the device. With the help of the cookies we can simplify your navigation and enable the correct presentation of our website content. The data we collect in this way are not being shared with a third party or used to get access to your personal information without your consent. You can deactivate cookies when you surf our websites. Generally you can accept or reject cookies when you visit a website. Use the help function of your browser for more information. Be aware however, that some of the functions of the website do not work any more when the cookies are deactivated. When you register to one of our websites, we collect some personal information such as name, address, contact information such as telephone number and mail address. When you are registered, you can use services and content that are only possible to registered user. Registered user always have the possibility to change their information or delete them. We’ll inform you about your personal information which is saved by us and can change or delete them as per your wish as long as there are no legal obligations for keeping them. To reach us for this purpose, please use the contact data available at the end of this document. For chargeable services such as fulfilling your orders, we’ll need additional information such as paying methods or your account details. These information are saved by us as long as the mandatory period for saving data is over. To protect your information during transfer, we use a data encryption according to the newest technical possibility (such as SSL via https). When you leave a comment on one of our websites and internet platforms, the time of your visit and the user name that you use for a certain service (social media for instance) would be delivered. This is only for security since we’re responsible for unlawful comments even if they are submitted by users and visitors of our websites. As per your explicit consent, we send you our newsletter or similar relevant information per mail to the email address you’ve entered our system. An email address is enough to get registered for our newsletter. The information you enter the system are only used for the newsletter. Newsletter receivers could as well be contacted about for the newsletter relevant information such as changes in newsletter itself or technical issues. For registration, a valid email address is necessary. We use a double-opt procedure to make sure that the email that is registered for the newsletter receipt really comes from the owner of the given email address. We make records of the registration for the newsletter, the delivery of the confirmation mail and the entrance of the confirmation response. We do not collect any further information and the collected information would not be shared with a third party. You can withdraw your consent for saving your information and newsletter subscription at any time. In each newsletter you’ll find a link that allows you to unsubscribe from the newsletter. You can as well change your personalized date via this link or let us change this information for you by using the contact channels we suggest you at the end of the newsletter. When you send us a mail or use our contact form (for asking us questions for instance), you’re accepting that we might contact you. In this case, we need a valid email address to be able to classify/save the message and come back to you. It is optional to add more personal information. These information are only used/saved for the purpose of processing your inquiries and answering your questions. for the proper depiction of our websites. Google webfonts are transported into Cache of your browser in order to avoid a repeated loading. When your browser doesn’t support Google webfonts or doesn’t allow the access, the contents of the website would be presented in a standard font. Using script bibliography automatically sets a connection between your device and the operator of the bibliography. It is not quite clear how and why the operator (for example Google) uses the collected information.